TAKEOFF ATL URBAN MUSIC 2019 AWARDS IS HOME TO MUSICAL ARTISTS, ATLANTA'S INFLUENCERS, CREATIVES, AND CURATORS. THE AWARDS SHOW IS TO CELEBRATE AND HIGHLIGHT THOSE THAT HAVE CONTRIBUTED TO THE GROWTH OF THE URBAN MUSIC CULTURE. 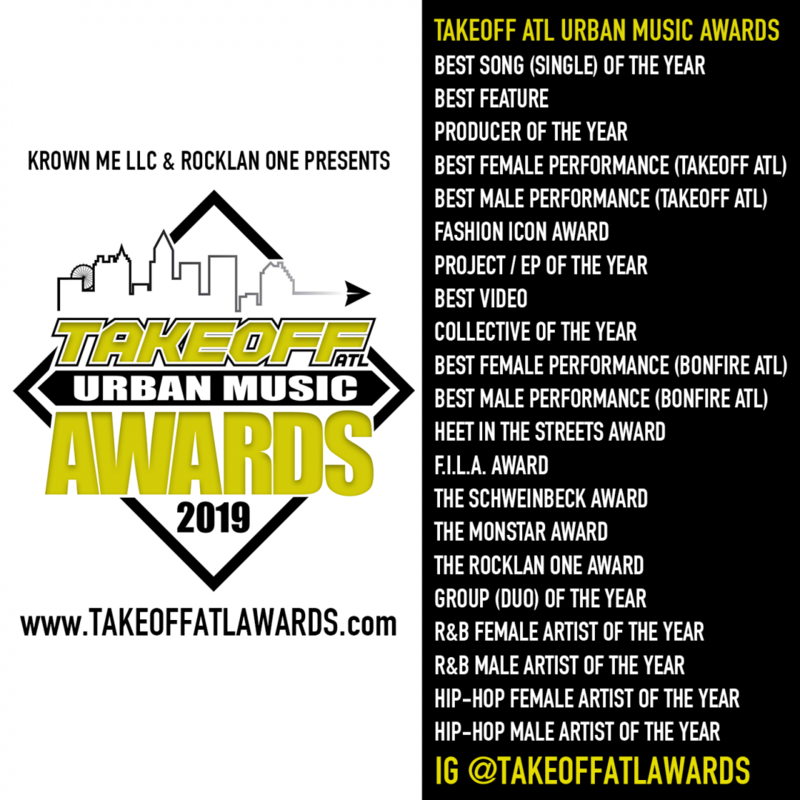 The Takeoff Atl Urban Music 2019 Awards is a Krown Me LLC / RockLan One Production.